Dress Clothing Online Guide to choosing the right fabric for comfort and durability when buying your favourite clothes. Viscose and Rayon is both a semi-synthetic fabric formerly called viscose rayon or rayon. Its produced from a solution of cellulose xanthate from specially processed wood pulp. Viscose and Rayon is very similar to cotton and silk. ​It is a fine and soft material commonly used in dresses - shirts - shorts - coats - jackets and other outer wear. Viscose rayon is a soft fiber fabric. Chambray is another smooth, lightweight fabric and does not drape as well as rayon challis, cotton voile or cotton lawn but has a penchant for creasing and retaining a worn look, much like denim. Chambray Fabric is a woven fabric, and is usually woven with 100% cotton yarn threads. A colored or dyed yarn is inter-woven with a white yarn thread. Chambray fabric is the fabric of choice for summer collections in women's shirts, tops, loose pants and shorts, dresses and skirts. Chambray generally has a faded look, with soft colors, rather than sharp shades. Sometimes chambray is made from linen, silk or other fibers, but most of it is woven with 100% cotton fibers. Nylon and polyester spandex fabrics have made quite a statement in the last several decades as the premier fabrics for athletic wear - uniforms - swimwear - yoga and fitness clothing. Spandex fabric also known as elastane or Lycra is a modern synthetic fiber known for its exceptional elasticity, which give it wide range of uses in athletic attire as well as in apparel designed for comfort or to define the figure. The material is extremely comfortable - lightweight - supple and it is a key stretchy fabric used for active fitness clothing garments and for a growing array of stylish women’s attire, such as dance and club wear. The most popular and one of the earliest uses of polyester was to make polyester suits. A big hit in the 1970s when Polyester clothes were very popular. Cotton Voile is a lightweight, semi-sheer fabric, usually made of 100% cotton or cotton blends including linen or polyester. The term comes from French, and means veil. Because of its light weight. Voile fabric is also used in dress-making, either in multiple layers or laid over a second material. Voile is very similar to chiffon, which is also used in dress-making. Cotton Lawn is slightly crisper than cotton voile. Lawn cloth or lawn is a plain weave textile, originally of linen but now chiefly cotton. Lawn is designed using fine, high count yarns, which results in a silky, untextured feel. The fabric is made using either combed or carded yarns. When lawn is made using combed yarns, with a soft feel and slight lustier. The term lawn is also used in the textile industry to refer to a type of starched crisp finish given to a cloth product. The finish can be applied to a variety of fine fabrics, prints or plain. Denim is a very durable heavy-weight fabric with almost no drape or stretch. Denim is a sturdy cotton warp-faced. This twill weaving produces the familiar diagonal ribbing of the denim that distinguishes it from cotton duck.It is a characteristic of most indigo denim that only the warp threads are dyed, whereas the weft threads remain plain white. As a result of the warp-faced twill weaving, one side of the textile then shows the blue warp threads and the other side shows the white weft threads. This is why blue jeans are white on the inside. The indigo dyeing process, in which the core of the warp threads remains white, creates denim's fading characteristics. Knit fabric comes in several types of knit, varying from light to medium weight. Knit fabric is great for any garment that needs to stretch. Its properties are distinct from woven fabric in that it is more flexible and can be more readily constructed into smaller pieces, making it ideal for socks and hats. Its properties are distinct from non-woven fabric in that it is more durable but takes more resources to create, making it suitable for multiple uses. Double gauze is a unique fabric that is extremely light and breathable. Double gauze is two layers of gauze fabric woven together. Gauze is a lightweight, soft, and open weave fabric that is usually quite sheer. Because it allows air to pass through freely, gauze can be used in garment sewing for clothing worn in hot and humid climates. However, it can also be quite impractical because it is so sheer - slips, camisoles and other undergarments may undermine the properties of the gauze. Silk is a soft and smooth lightweight delicate fabric. It has a nice shimmery appearance. Silk is one of the finest yarns available to fabric producers and can be used for some of the most delicate and elegant fabrics or some rustic looks such as silk tweeds made with the shorter filaments. According to well-established Chinese legend, Empress Hsi Ling Shi, wife of Emperor Huang Ti, was the first person to accidentally discover silk as weavable fiber. One day, when the empress was sipping tea under a mulberry tree, a cocoon fell into her cup and began to unravel. The empress became so enamored with the shimmering threads, she discovered their source, the Bombyx mori silkworm found in the white mulberry. The empress soon developed sericulture, the cultivation of silkworms, and invented the reel and loom. Thus began the history of silk. Satin is also soft and smooth like silk and can vary from light weight to heavy weight. Satin is a weave that typically has a glossy surface and a dull back. The satin weave is characterised by four or more fill or weft yarns floating over a warp yarn or vice versa, four warp yarns floating over a single weft yarn. 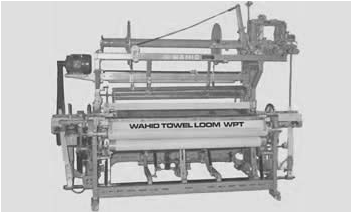 Floats are missed interfacings, where the warp yarn lies on top of the weft in a warp-faced satin and where the weft yarn lies on top of the warp yarns in weft-faced satins Satin is popular for its glossy appearance and is created with a particular type of textile weave, during the process woven material it is run through hot cylinders. The weave method used to create it is different from a basic fabric, the latter is woven by having the threads in each direction (the warp and the weft) going one over and one under. The satin weave is four over and one under, with less interlacing of the threads. That process gives fabric its characteristic glossy look. The fibers that are commonly woven to create satin are silk, cotton, wool and also synthetic materials like polyester or acetate that allowed to have a less expensive fabric. Linen is a medium-weight fabric with very little elasticity, it conducts heat well, which is why it’s a popular choice for warm-weather climates. Linen is a textile made from the fibers of the flax plant, Linum usitatissimum. Linen is laborious to manufacture, but the fiber is very absorbent and garments made of linen are valued for their exceptional coolness and freshness in hot weather. Many products are made of linen: swimming wear, bath, beach, body and wash towels) and various women's wear. 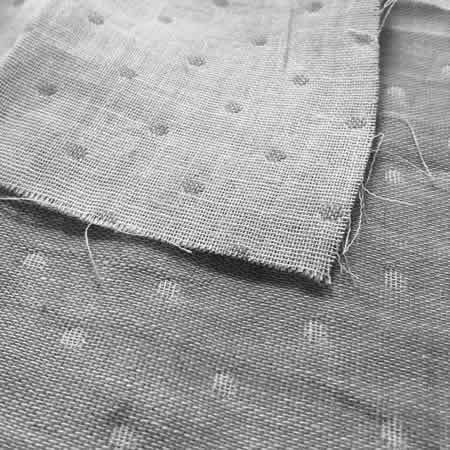 Textiles in a linen weave texture, even when made of cotton, hemp and other non-flax fibers, are also loosely referred to as "linen". Such fabrics generally also have their own specific names, for example fine cotton yarn in a linen-style weave is called Madapolam.